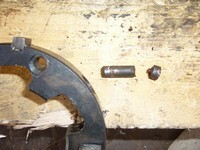 This is the method to repair a starter free wheel which has a broken pin inside. Carefully drill the rivet's heads and extract the rivets. 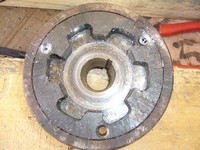 Remove the external plate, you should obtain that. 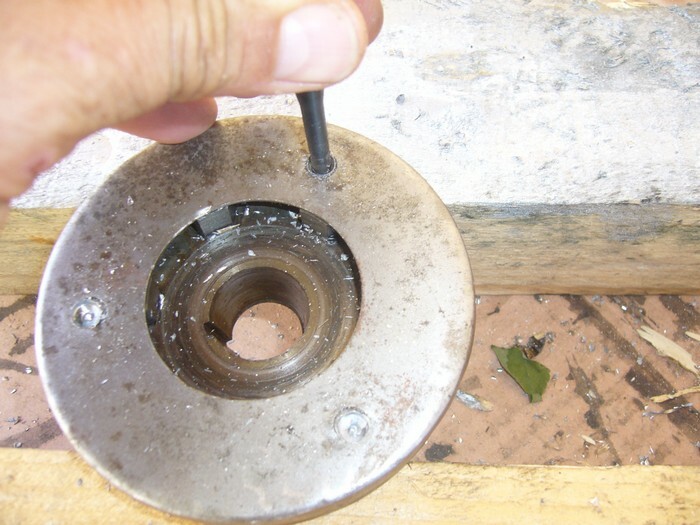 Extract the internal part, be careful to not break it. It is located by a woodruff key. 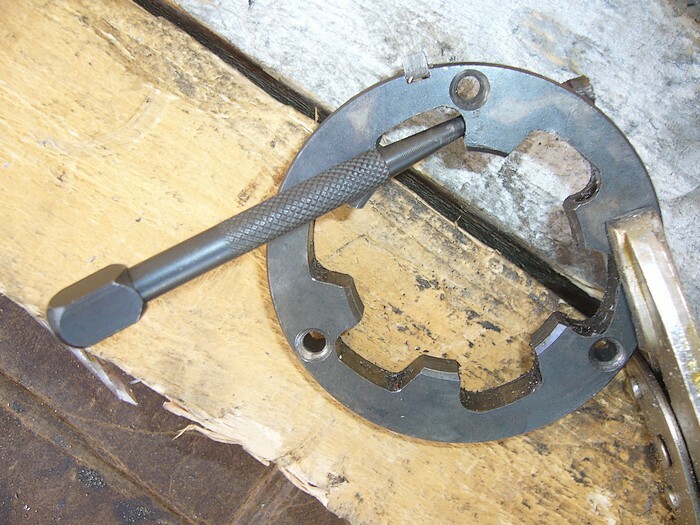 Extract the broken pin with this kind of tool. 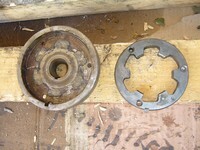 The hole in which the pin moves is closed by a small bush. 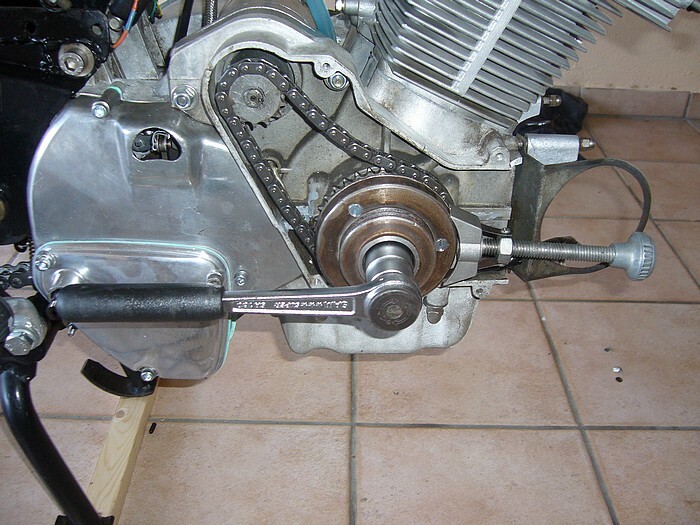 Re-fit the small bush, refit the internal part in the free wheel, refit the external plate (use tapered screws instead of the rivets, fit new pins and springs and refit the free whzeel on the crank end. 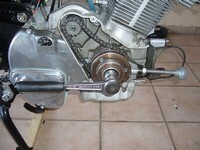 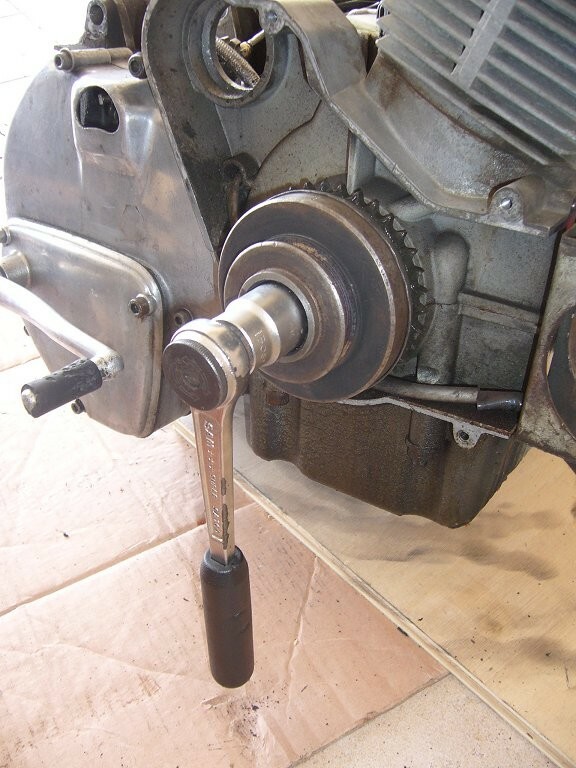 Tighten the crank end nut to the right torque. 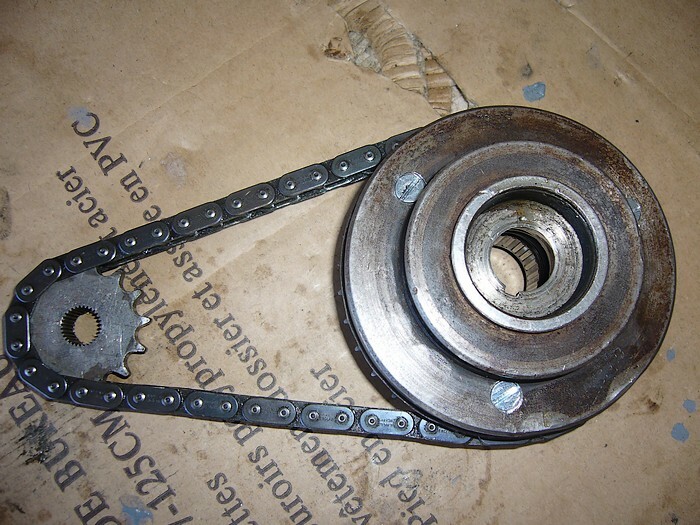 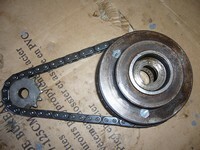 Here an automotive oil filter tool is used to avoid the free wheel rotating.